Should bodybuilding be an Olympic sport? Our forum members share their thoughts on whether or not bodybuilding should be added. Learn the pros and cons of this sub culture sport being in the Olympics and see if you agree. TOPIC: Should Bodybuilding Be An Olympic Sport? This has been an ongoing debate amongst bodybuilders and almost anyone else who has an interest in the Olympics. Weightlifting already has its place in the Olympics, but not bodybuilding. Should bodybuilding be an Olympic sport? Why or why not? Why is bodybuilding not already an Olympic sport? Do you think making bodybuilding an Olympic sport would help the sport? Do you think it would help the Olympics? Should bodybuilding be an Olympic sport? Absolutely. Ever since Ben Weider, President of the International Federation of Bodybuilders petitioned the International Olympic Committee (IOC) in the early 1970's regarding the issue of bodybuilding, this topic has become a hot issue. The golden years of bodybuilding in the 1970s brought the sport to a new level of popularity. The days of Arnold Schwarzenegger, Dave Draper, and Sergio Oliva shone a light on the beauty of the human body, as well as showing the amiable personalities of those who practice bodybuilding. This led to a rapid increase in the fan base as well as more competitors, a trend that is still prevalent today. Arnold and Dave Draper working out. There are plenty of fans who would love to see bodybuilding lifted to a whole new level of popularity as part of the Olympic Games, so what's the big problem? Currently, the Olympic program consists of 35 different sports, 53 disciplines and more than 400 events. These sports widely range from cycling all the way to weightlifting. The fan base, competitors, and sponsors are willing; so would adding bodybuilding be that much of a difficulty? Why Is Bodybuilding Not Already An Olympic Sport? Bodybuilding is not already an Olympic Sport largely due to the stubbornness of the IOC and OPC (Olympic Planning Committee). In the 1970s, the two groups argued several reasons why Bodybuilding wasn't an applicable choice as an Olympic sport. Three main points were raised. The IOC and OPC claimed that simply, bodybuilding is not a sport and therefore has no place in the Olympic Games. Who decides what a sport is in the first place? I searched and found a list of pre-requisites for a sport. The relevance of the outcome of the activity and the individual's role in it extends to the groups and collectivities that do not participate directly in the act. The activity consumes a greater proportion of the individual's time and attention due to the need for preparation and the degree of seriousness involved in the act. Arguably, the primary problem the IOC and OPC have with allowing bodybuilding as an Olympic sport concerns drug abuse. The IOC and OPC claimed that the prevalence of the use of performance enhancing drugs would prevent bodybuilding from complying with Olympic drug policies. The Olympic Games have harsh and vigilant doping rules, which would clash with the common practices of many professional bodybuilders. However, there is a whole natural aspect of bodybuilding that does not involve doping. The Olympics could continue their drug testing and allow only natural bodybuilders to compete on an Olympic level. This is in keeping with the tradition of the Olympics being a competition among amateurs in a field, not professionals. The final reason stated by the OPC and IOC was that the judging in competitive bodybuilding was far too subjective for an Olympic judge to critique. Of the 35 sports in the Olympics, are there no sports that are subjectively judged? Performances by athletes in diving, figure skating, ice dancing, gymnastics and many other Olympic sports are subjectively evaluated, so bodybuilding would fit in perfectly! Along with the notion of subjectivity, the IFBB has set definite requirements for competitions and competitors alike. There is elimination, pre-judging, semi-final and final rounds which each have specific requirements. The IFBB has plenty of judges who assess professional bodybuilding shows. If finding a judge would be such an issue, the IOC or OPC could easily have access to hundreds of judges who can readily judge any Olympic show. Can It Help The Sport? Do You Think Making Bodybuilding An Olympic Sport Would Help The Sport? Do You Think It Would Help The Olympics? I definitely believe that making bodybuilding an Olympic sport would help the sport. The Olympics would boost bodybuilding to a whole new level of popularity. Competitive bodybuilding has never been a mainstream sport, however its place in the Olympics would make it better known and recognized. Likewise, the more access to the sport would allow people to learn more about it, and possibly take part in it themselves. Bodybuilding would help the Olympics by widening the range or sports being shown. The Olympics were started by the Greeks; people who revered aesthetic bodies that were well toned and well nourished. By showcasing bodybuilding, the Olympics would be encouraging spectators, young and old, to eat right, work out, tone their bodies, and to take care of their health. These messages are critical in a world currently plagued by so many people who are overweight. is not the triumph but the struggle." If there are any questions or comments, please feel free to Email me at mcrosqrt23@aol.com. The Olympics have been a way of individuals coming together from all over the world and showing off their talents representing their country of origin. Athletes train their entire lives in order to compete in the prestigious games. If you ask anyone on the Bodybuilding.com forum or anyone who has been training (bodybuilding) for awhile they will tell you that this sport is NOT easy, far from it! It requires dedication, discipline, knowledge, courage, strength and much more. However saying this, let us analyze what the IOC (International Olympic Committee) considers a sport. Looking at the above, apart from the doping part, bodybuilding would fit right in. Looking on to see what would make bodybuilding an Olympic Sport (again taken direct from the IOC website). I have highlighted important points throughout. 1.4 Sports are admitted to the program of the Olympic Games at least seven years before specific Olympic Games in respect of which no change shall thereafter be permitted. 2.1 A discipline, being a branch of an Olympic sport comprising one or several events, must have a recognized international standing to be included in the program of the Olympic Games. 2.2 The standards for the admission of disciplines are the same as those required for the admission of Olympic sports. 3.1 An event, being a competition in an Olympic sport or in one of its disciplines and resulting in a ranking, gives rise to the award of medals and diplomas. 3.2 To be included in the program of the Olympic Games, events must have a recognized international standing both numerically and geographically, and have been included at least twice in world or continental championships. 3.3 Only events practiced by men in at least 50 countries and on three continents, and by women in at least 35 countries and on three continents, may be included in the program of the Olympic Games. 3.4 Events are admitted not later than three years before specific Olympic Games in respect of which no change shall thereafter be permitted. 4.1 To be included in the program of the Olympic Games any sport, discipline or event must satisfy the conditions specified by this rule. 4.2 Sports, disciplines or events in which performance depends essentially on mechanical propulsion are not acceptable. 4.3 Unless the IOC decides to the contrary, a single event cannot simultaneously give rise to both an individual and a team ranking. 4.4 Sports, disciplines or events included in the program of the Olympic Games which no longer satisfy the criteria of this rule may nevertheless, in certain exceptional cases, be maintained therein by decision of the IOC for the sake of Olympic tradition. Well that's pretty simple. What has every successful bodybuilder of our time, from Arnold to Dorian Yates to Ronnie Coleman, done that would not fly with the IOC? Yeah you guessed it, Steroids. This would be the biggest obstacle for bodybuilding to become part of the Olympics. Now don't get me wrong, natural bodybuilders all over the world have built outstanding physiques, and continue to get better everyday. However, let's not kid ourselves; they will never reach the same levels as with the help of drugs. It's just not humanly possible. There is no way that the Olympic committee would be able to bypass drug testing just for bodybuilding in order to have greater physiques at the games. If that happened, then we would have people running the 100 meter sprint in 5 seconds and the marathon in an hour! I think that if bodybuilding were to become an Olympic sport, we would see a huge leap in the amount of people doing the sport. The sport would become more televised and more and more people would become interested. It's just like poker. A few years ago it was not all that popular, but as soon as they started broadcasting on TV, the amount of people playing sky rocketed! The same would happen with this sport. It would definitely also help the Olympics ... the athletes more specifically. What athletes are essentially doing is bodybuilding for their sport. Whether it's gymnastics, skiing, kayaking, running ... whatever it is, it requires discipline, a good diet and dedication. I personally think that there are athletes that would be able to compete in both bodybuilding (a lighter class), and in a sport like gymnastics or something. That would really highlight a well rounded athlete! Simply put, this sport should without a doubt be part of the Olympics! The increased publicity will encourage this overweight country to start moving and getting in shape! In my opinion Bodybuilding should not be an Olympic sport. Most bodybuilders would disagree but after reading this article they might think otherwise. First off I would like to use some Olympic sports as an example: Weightlifting, Track Racing, Wrestling, Long Jump, etc. are some of the more dominant sports in the Olympics, because for one thing it is clear who has won the sport. What I mean by that is that in weightlifting, when someone lifts the weight it is clear that they have lifted the given weight all the way, same with Track Racing, there is always one runner that is obviously faster than the others and wins the race. Wrestling and Long jump are the same way as in everyone knows who won and cannot argue that someone who lost should've won and that it's a mistake that the winner won. 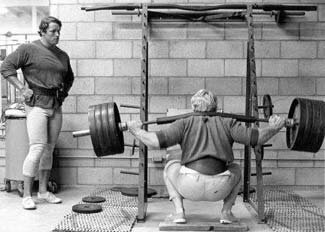 No one can argue in an Olympic sport that there was a mistake with judging, because the facts are clear and filmed so no one can say, "Mr. A lifted the weight better than anyone," when Mr. A couldn't complete the last lift. What I've been trying to tell you in the previous paragraph is that bodybuilding is a very unique sport in that it isn't usually clear who has the best body, because everyone is entitled to their own opinion. 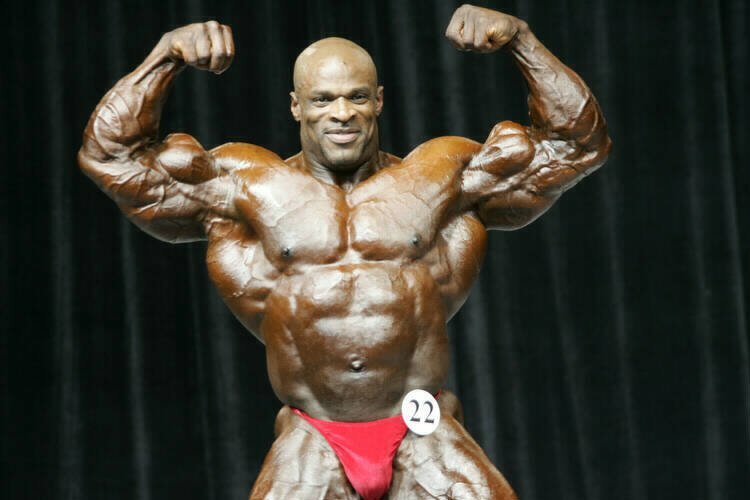 It is not obvious who is going to win because one person might think that Ronnie Coleman should've won because he has a symmetric back, but then someone might say he should've lost because he has a pot belly. Should Ronnie Have Won The 2006 Olympia? So if the judgment of Mr. Olympia is unfair, then I think the Olympics are a long way ahead. So to sum it all up, the reason why bodybuilding isn't in the Olympics already is because, as I said above, in most Olympic sports it is obvious who won the game and judging doesn't have a big role in them. With bodybuilding it is pretty hard to recognize the winner, which is why the judgment has a big role in bodybuilding. Another reason would be that a lot of bodybuilder have used drugs to aid them in gaining muscle. Would It Help The Sport? I definitely think that making bodybuilding an Olympic sport would affect the publicity of the sport. These days people don't recognize that bodybuilding is a sport just like any other sport, or rather a lot more difficult than any other sport, because it is a year-round sport, unlike many sports which are just played or trained for, for 1 season out of 4. If bodybuilding was in the Olympics, I think people would realize how much hard work is put into this sport. As for the question, if bodybuilding could help the Olympics, I would say yes! If you go back in time some 3,000 years back, to Greece, there were competitions that judged men of their physique. It wasn't like we judge these days, it was usually the wrestlers who had the good physiques and they would get judged by the crowd before their match. So by adding Bodybuilding to the Olympics, I think it would help the Olympics by actually giving the world an idol body to idolize, like they did in the old days. In conclusion, I do not think bodybuilding should be an Olympic sport, because this sport's judging is in a unique way and wouldn't fit in with the Olympics. For one thing the loser of an Olympic contest wouldn't complain if he lost because it was obvious he did, on the other hand a bodybuilder might argue that he shouldn't have lost because he was better than the other bodybuilder in a certain aspect, like symmetry or proportion, etc. On the contrary I do think that if Bodybuilding was in the Olympics, it would definitely help bodybuilding.